Co-hosted by the St. Catherine University Master of Library and Information Science Program, Library, Friends of the Libraries, Education Department, Multicultural & International Programs & Services, American Library Association Student Chapter, Progressive Librarians Guild, Student Governance Organization, Endowed Mission Chairs, and Addendum Books. This event is free and open to the public. Parking is free on campus after 5 pm. St. Kate’s campus map. Contact: Dr. Sarah Park Dahlen, MLIS Program (spark@stkate.edu), for updated event information. Ahlin, Charlotte. (2016 Sept 23). Who Is Gene Luen Yang? 9 Things To Know About The “Genius” Grant-Winning Graphic Novelist. in Bustle. Benedetti, Angelina and Cindy Dobrez. (2007 Spring). Gene Luen Yang Wins 2007 Printz Award. YALS. Chaney, Michael A. (2011 Summer). Animal Subjects of Graphic Novels. in College Literature 38(3). Chen, Irene (Chen Ying-Yu). (2009). Monkey King’s Journey to the West: Transmission of a Chinese Folktale to Anglophone Children. in Bookbird: A Journal of International Children’s Literature 47(1). Gomes, Cheryl, with James Bucky Carter. (2010). Navigating through Social Norms, Negotiating Place: How American Born Chinese Motivates Struggling Learners. in English Journal 100(2). Schieble, Melissa. (2014). Reading Images in American Born Chinese through Critical Visual Literacy. in English Journal 103(5). Serrao, Nivea. (2017 May 2). Fresh Off the Boat: Read pages from the Free Comic Book Day comic. in Entertainment Weekly. Song, Min Hyoung. (2010 March). “How Good It Is to Be a Monkey”: Comics, Racial Formation, and American Born Chinese. in Mosaic: A Journal for the Interdisciplinary Study of Literature 43(1). Stratman, Jacob. (2016) “How Good It is To Be a Monkey”: Conversion and Spiritual Formation in Gene Luen Yang’s American Born Chinese. in Christianity & Literature 65(4). Yang, Gene Luen. (2012 July 9). Charlotte Zolotow Lecture 2011 – Gene Luen Yang. UWMadisonEducation. Yang, Gene Luen, Marek Oziewicz, and Emily Midkiff. (2014 Jan). The “Asian Invasion”: An Interview with Gene Luen Yang. In The Lion and the Unicorn 38(1). Yang, Gene Luen. (2013 Nov 25). Gene Luen Yang. on Sound and Fury: The Angry Asian Podcast. Yang, Gene Luen. (2014). A Mistake in The Shadow Hero. DiversityinYA tumblr. Cavna, Michael. (2014 Dec 9). ‘THE SHADOW HERO’: Author Gene Luen Yang admits research error through new comic. The Washington Post. Yang, Gene Luen. (2016 July 20). Gene Luen Yang Episode #063. on Asian America: The Ken Fong Podcast. Yang, Gene Luen. (2016 Sept 13). 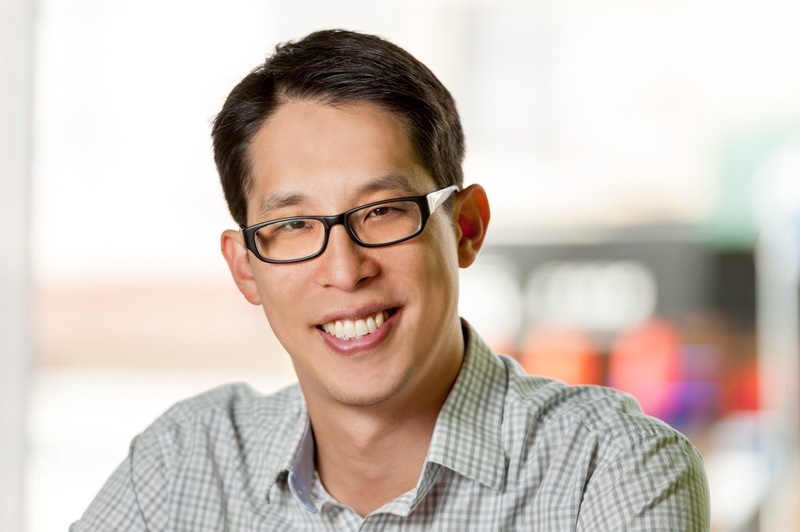 EPISODE 28: CREATING STORIES WITH GENE LUEN YANG. on The Asian American Voice. Yang, Gene Luen. (2016 Sept 21). Graphic Novelist Gene Luen Yang | 2016 MacArthur Fellow. MacArthur Foundation. Yang, Gene Luen. (2016 Dec 2). Why comics belong in the classroom | Gene Yang | TEDxManhattanBeach. Tedx. Yang, Gene Luen, Greg Pak, Phil Yu, and Jeff Yang. (2017 May 12). Episode 8: They Call Us Gene Luen Yang and Greg Pak. on They Call Us Bruce Podcast. Tingle, Tim. Illustrated by Rorex Bridges. Crossing Bok Chitto: A Choctaw Tale of Friendship and Freedom. Horning, Kathleen T. (2014 May 1). Children’s Books: Still an All-White World? School Library Journal. Derman-Sparks, Louise. (2013) An Updated Guide for Selecting Anti-Bias Children’s Books. Teaching for Change. Nodelman, Perry. (1992). The Other: Orientalism, Colonialism, and Children’s Literature. Children’s Literature Association Quarterly 1(17), 29-35. McIntosh, Peggy. (1988). White Privilege: Unpacking the Invisible Knapsack. White Privilege and Male Privilege: A Personal Account of Coming to See Correspondences Through Work on Women’s Studies. Taxel, Joel. (2010). The Economics of Children’s Book Publishing in the 21st Century. Handbook of Research on Children’s and Young Adult Literature. Edited by Shelby Wolf, Karen Coats, Patricia A. Enciso, and Christine Jenkins. Routledge. PDF. Low, Jason. (2013 June 17). Why Hasn’t the Number of Multicultural Books Increased in Eighteen Years? The Open Book: Lee & Low blog. Ehrlich, Hannah. (2017 March 30). The Diversity Gap in Children’s Literature, 2017. The Open Book: Lee & Low blog. Low, Jason. (2016 January). Where is the Diversity in Publishing? The 2015 Diversity Baseline Survey Results. The Open Book: Lee & Low blog.